SURIYA’S S3 REMAKE: DETAILS OF CAST AND CREW WITHIN! Cinematographer Ravi K Chandran, who has worked on Ghajini, OK Jaanu and many other Bollywood projects has finally decided to make his directorial debut in Hindi. He has picked actor Suriya’s S3 directed by Hari as the film to be remade and the lead actor will reportedly be Sunny Deol. 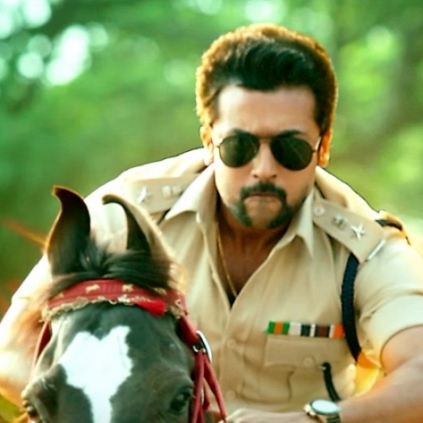 Apart from Suriya, the S3 movie had Anushka Shetty, Shruti Haasan and Thakur Anoop Singh in important roles. It is said that, when Sunny watched the original film starring actor Suriya, he was thoroughly impressed and he will be reprising the role of the cop. Meanwhile, Ravi is busy in USA working on the script and will start scouting for locations soon. Apparently, the team is also yet to confirm the female lead. Shocking: Rakul Preet Singh slaps a fan! People looking for online information on Anoop Thakur Singh, Anushka, Ravi K Chandran, Shruti Haasan, Sunny Deol, Suriya will find this news story useful.